Despite what many people have been led to believe, alcoholism is a very real and recognised illness of the brain, and one that requires treatment. The good news is that this illness can be effectively treated and managed with the help of one of many treatment centres throughout the UK. Breaking the cycle of abuse can be achieved with a medical detox, while a programme of rehabilitation will address the underlying issues that may have caused the illness in the first place. As alcohol addiction is a chronic illness, recovery requires effective treatment. Why Seek Rehab for Alcoholism? For most people with alcoholism, addiction treatment begins with detoxification. Detox is necessary before any rehabilitation can begin. Why? Because all traces of alcohol must be eliminated from the body in order for the patient to focus entirely on rehab. Please understand that detox and rehabilitation are not the same thing. Entering a detox-only programme just to get clean will not make you better. It will only help you get temporarily clean. If you want to recover from alcoholism, you need to learn how to live without alcohol. This is achieved through rehab. Alcohol addiction, also known as alcoholism or alcohol dependence, is a chronic illness and the most serious form of drinking problem a person can suffer from. It is characterised by a strong, often uncontrollable desire to drink. That desire is accompanied by a physical tolerance to alcohol. If you find it very difficult to enjoy yourself or relax without alcohol, you may already be psychologically dependent on in. If you show signs and symptoms of withdrawal between periods of drinking, you may already be suffering from some level of alcohol addiction. Those symptoms include sweating, nausea, and the shakes. Being addicted to alcohol means that alcohol controls your daily life. It is part of the decisions you make, the people you choose to associate with, the places you visit, etc. Alcohol addiction interferes with your ability to work and the relationships you are trying to maintain. Withdrawal is a normal consequence of alcohol addiction. What is withdrawal? Is a physical and mental reaction to falling blood alcohol levels. Withdrawal is rooted in how the body responds to alcohol, especially in terms of brain function. When you consume alcohol, it is carried throughout your body via the bloodstream. Alcohol reaching the brain triggers certain responses that cause it to produce chemicals designed to overcome the alcohol. All of this happens whether you are a casual drinker or suffering from alcohol abuse. There are varying degrees of alcohol misuse recognised by experts. This is to say that not all people who misuse alcohol are addicted. Some are moderate abusers while others are just a short way away from becoming addicts. 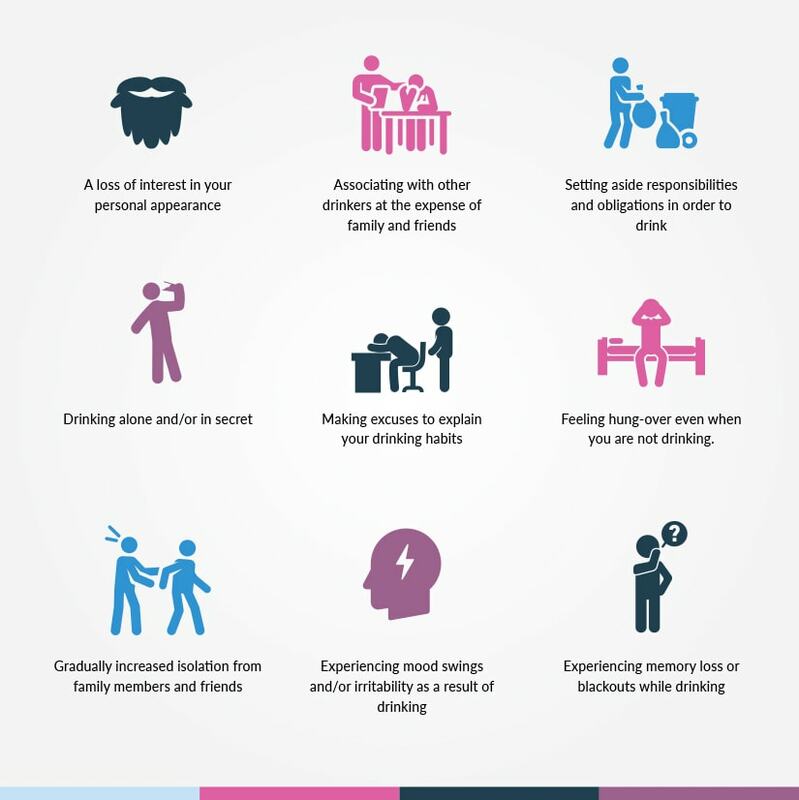 The key to early treatment is recognising the warning signs that point to alcohol misuse of some kind. You do not have to exhibit all these warning signs to be an alcohol abuser. Even just a few of them are cause for concern. Again, you do not have to exhibit all these warning signs to be addicted to alcohol. Also note that while not every alcohol abuser is an addict, every addict is an alcohol abuser. 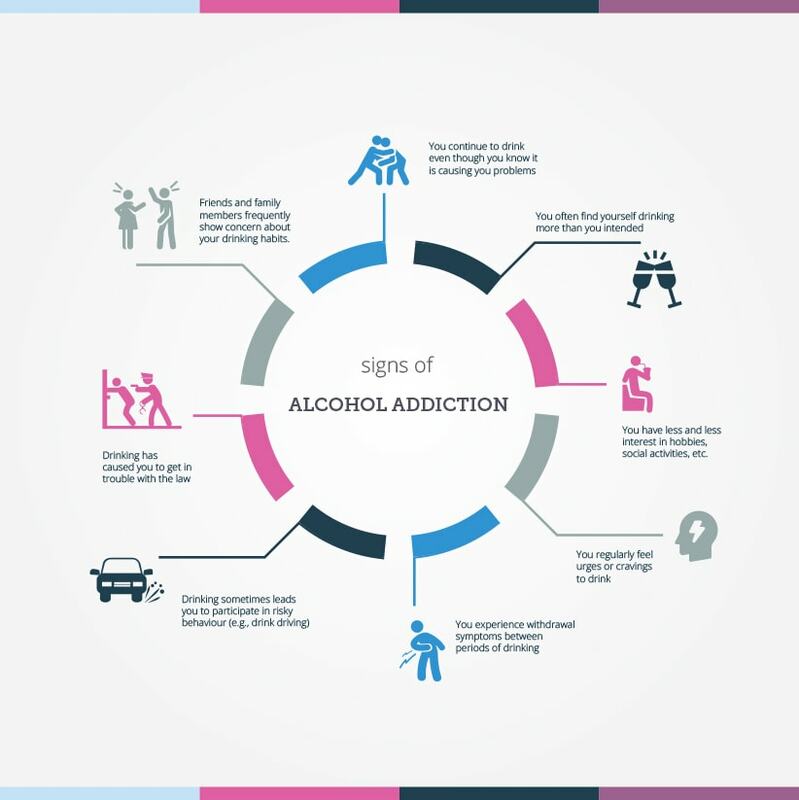 The more warning signs you exhibit, the greater the chances that you are an alcoholic. negatively impact your relationships at home and elsewhere. lead you to a life of crime as you seek to support your addiction. Avoiding the negative effects of alcohol abuse requires overcoming your problem. That is what alcohol rehab is for. Through professional treatment and the right kind of support, you can head off any of the more serious effects of alcohol abuse you have not yet experienced. You might also reverse some of the damage that has already been done. 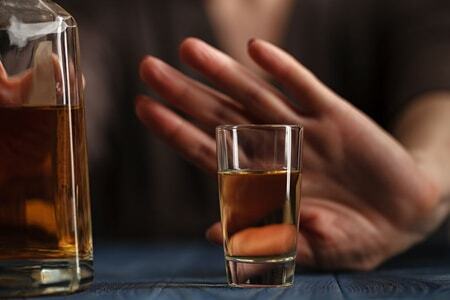 Alcohol abuse and addiction are serious problems that affect both the mind and body. They are not merely bad behaviours. As such, simply making the decision to stop drinking may not be enough. That’s why we offer professional rehab at numerous facilities throughout the UK. As mentioned earlier, detox only gets you clean. It only addresses the body. Rehab is an all-inclusive strategy that addresses the body through detox, then goes on to address the mind and spirit by way of various rehab therapies. When complete, rehab has treated the recovering alcoholic holistically. Although there are several different options for alcohol rehab, most experts would agree that residential programmes offer the most effective types of treatments. Residential treatment, also known as inpatient treatment, is intense and concentrated. 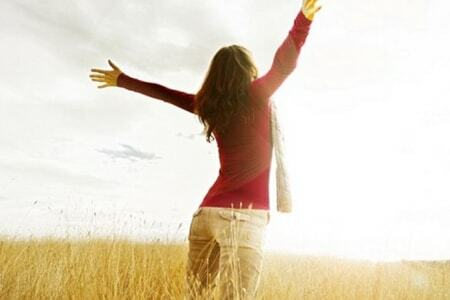 It offers a structured programme that most recovering alcoholics find helpful. Overcoming alcoholism is extremely difficult, so this focused and structured approach is designed to give patients the time and space they need to fully commit to sobriety. Residential treatment is offered in a safe, comfortable environment free from the temptations of the outside world. You should know that residential programmes tend to cater to a particular number of individuals who have access to private or shared occupancy bedrooms. The number of patients that can be catered to at any one time varies from one clinic to the next. However, all our clinics offer safe and secure surroundings. During residential treatment, you can expect to live with other recovering addicts in a therapeutic environment. Together, you will all learn about alcoholism. You will be taught the necessary skills that will enable you to cope with sober living when you eventually return home. Those recovering from alcoholism at a UKAT residential clinic can expect a quiet and supportive atmosphere where they will be given various treatments depending on their individually created treatment plans. Treatment may include individual counselling, group therapy, 12-step work, motivational interviewing, or cognitive behavioural therapy. Counselling is provided through both one-on-one and group sessions. One example would be cognitive behavioural therapy, a one-on-one therapy where patient and therapist work together to set and achieve a series of goals. Cognitive behavioural therapy encourages patients to take ownership of their recovery. In terms of group counselling, it can take one of many forms. A group counselling session may look a lot like a support group meeting, where patients gather in a communal space and talk about what they are experiencing. 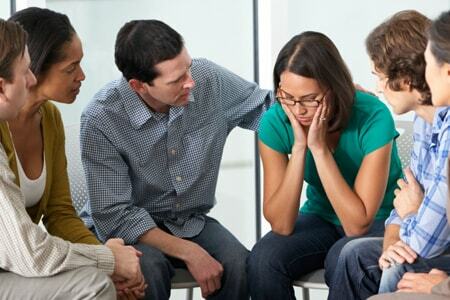 Group counselling offers the added benefit of mutual support and accountability. Experiencing group therapy should help you by driving home the point that you are not alone. It should encourage you to know that others are going through the same things you are experiencing, and that many more have gone before you to successfully complete rehab and return to an alcohol-free life. Meditation is another technique utilised by addiction recovery therapists. It is a technique intended to help patients gain control over their thoughts and emotions during treatment so that they can keep them under control once they leave the residential centre. There are different types of alcohol addiction treatments divided into two primary categories: inpatient and outpatient. We have already discussed the fact that inpatient treatment is received at a residential facility where you would be living with other patients as you overcome addiction together. Outpatient treatment is a bit different. In an outpatient setting, you would continue to live at home while visiting your clinic on a daily basis. You would still receive your treatment alongside others in the same treatment programme, but each of you would return home at the end of the day. The treatments themselves would be similar to those received in a residential setting. Meditation is applicable to both kinds of treatment. It may be more difficult in an outpatient setting, due to the many distractions of the world around you, but meditation is still very helpful nonetheless. Your search for alcohol abuse treatment may have led you to wonder whether you should choose an inpatient or outpatient programme. The first thing to know is that there is no right or wrong answer. The best kind of treatment is the one that offers you the greatest chances of success. If you experience severe withdrawal symptoms when you stop drinking, we advise that a residential programme would be in your best interests. Severe withdrawal symptoms indicate alcohol dependence. Likewise, we recommend residential treatment to patients who have previously attempted rehab but failed to remain sober. You may feel as though you can overcome your drinking problem if you can just get away from the life you are now living. If so, residential rehab is the way to go. A residential treatment programme will separate you from the outside world so that it does not pull you back in at the same time you are trying to recover. In addition to the question of inpatient vs outpatient treatment, you have to consider alcohol rehab vs detox only. The decisions you make regarding both will have an impact on your recovery. A detox-only treatment focuses exclusively on the physical aspects of alcoholism. It absolutely will help you get clean. Within 7 to 10 days, your body will be completely free of the alcohol you were putting into it. But then what do you do? Where do you go from there? What happens when the urge to drink returns? We would never say that a detox-only treatment programme should be avoided. We know people respond to treatment differently. There are those who embrace the detox-only method and are very successful in doing so. They go on to lead sober lives. But such patients are the exception to the rule. Receiving treatment at a UKAT facility involves examining your life and identifying the causes of your addictive behaviour. Our staff will help you come to terms with your illness; they will equip you with the skills you need to overcome it. One of the reasons we believe our clinics are among the best is the fact that we understand that alcoholism is a family problem. As such, we encourage interaction with family members. We offer comprehensive family programmes at all our facilities. When you choose UKAT treatment you will be put into the hands of experienced staff who have the skills and knowledge to help you beat your addiction. Our staff will help you break the pattern of addictive behaviour that has been plaguing you and provide you with the skills you need to prevent relapse once you return to everyday life. You may be in a position of needing specialised treatment and therapy options. Once again, our treatment centres are up to the task. We believe in the individual approach to treatment, not the old dynamic of funnelling every patient through the exact same programme without any variation. A dual diagnosis condition is one in which a person is suffering from both addiction and a mental illness at the same time. One of the most common examples is that of co-occurring alcoholism and depression. Dealing with co-occurring conditions is never easy under any circumstances; it can be especially difficult in the rehab setting. Whether you come to UKAT as a dual diagnosis patient or you suffer only from alcohol addiction, aftercare will be an integral part of your recovery. Aftercare is offered at the conclusion of your residential stay. The goal of aftercare is to provide ongoing support while also helping you put into practice the things you learned in rehab. Aftercare includes things like one-on-one counselling, attending support group meetings, and continuing with 12-step work. Giving your full effort to aftercare will help you continue your journey to long-term sobriety. We urge you to take full advantage of all aftercare services offered as part of your treatment programme. How long does aftercare last? That depends on your progress. You could be ready to finish up in a few months; you may need aftercare for up to a year. The most important thing is that you continue with aftercare services for as long as you need them to maintain your sobriety. We focus a great deal on relapse prevention in our treatment programmes. We fully understand that relapse is often part of the recovery process, but we also know that preventing relapse within the first year can make a significant difference in the lives of recovering alcoholics. For you, relapse prevention will be a daily task. That task will be made easier by availing yourself of aftercare services and participating in a local support group. Hopefully your family members and friends will also offer their support in the weeks and months following rehab. A strong support structure can do a lot for preventing relapse. Should you relapse despite your best prevention efforts, do not abandon hope of long-term recovery. Just start again. Persistence will be the key to your success. Like any other chronic condition, you keep going with treatment until you fully overcome. We want to close by inviting you to ask about treatment payment options when you contact UKAT. All your options will be thoroughly explained prior to admission. Know that once you are accepted for admission, a deposit will be required to secure your place in an upcoming treatment programme. The balance due will be payable on admission. Private insurance often covers at least a portion of alcohol addiction treatment. Some policies cover it in full. In addition to insurance, we can talk about cash payments, credit cards, and your other options. We will do everything we can to connect you with a treatment facility that suits your budget. Yes, they are. We respect your privacy and your need for confidentiality throughout the entire process. Though the typical rehab programme lasts from 4 to 12 weeks, there is no ideal length applicable to everyone. You might progress more quickly than others in your facility; you might need a longer stay. Treatment includes a medical assessment, medically supervised detox, a variety of rehab therapies, and aftercare. Residential facilities also provide food and lodging; some offer additional amenities. What are the factors I should look for in a rehab programme? In addition to the treatment approach taken (rehab vs detox-only), we recommend considering the level of accommodation, the physical location of a facility, and the kinds of therapies offered. There are enough options to meet any need. Due to the varying length of treatment programmes and the different kinds of accommodation available, is not possible to provide an accurate cost here. The cost of your treatment will depend on the options you choose. We can discuss cost when you contact us. Yes, there are. Specialised programmes tailored to the unique needs of teenagers are available through UKAT. How do you know if you're addicted to alcohol? Alcoholism is a condition that manifests itself in identifiable symptoms and signs. If you exhibit any of them, you may be addicted. You can find more information about signs and symptoms here on our site. Recommendations for the length of stay are made based on a patient's overall health and the severity of the addiction. Length of stay is established in the patient's treatment plan, though it can be modified as needed. Though we cannot offer any guarantees, most private insurance policies do offer at least some level of coverage for alcohol treatment. Check your policy documents to learn what your insurance covers. Alcohol rehab combines detox and rehabilitative therapies to help patients come clean and stay clean. Detox addresses the physical while rehab therapies address the mental and spiritual. The goal is to achieve and maintain long-term sobriety. How effective is alcohol rehab? 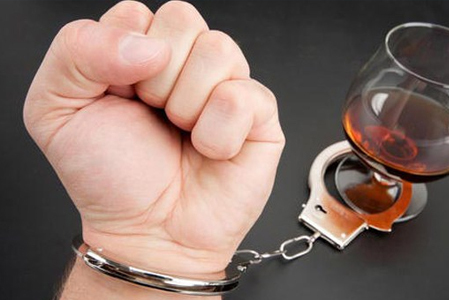 Alcohol rehab has proven effective for countless people over the years. When approached with the right mindset and combined with professional, supportive care, rehab can form the foundation on which the recovering alcoholic can build a new, alcohol-free life.